The new buildings will provide affordable housing, space for businesses, and social services from partnering non-profits in the Clinton/Hell’s Kitchen community. On February 13, 2019, Department of Housing Preservation and Development Commissioner Maria Torres-Springer announced the selection of development teams to build approximately 260 affordable housing units on two City-owned sites in the Clinton and Hell’s Kitchen neighborhoods of Midtown Manhattan. The sites were identified for development into affordable housing through the Hudson Yards Plan, a comprehensive proposal to develop Manhattan’s Far West side. The two developments were approved following HPD’s Clinton/Hell’s Kitchen request for proposal (RFP) for the two sites. 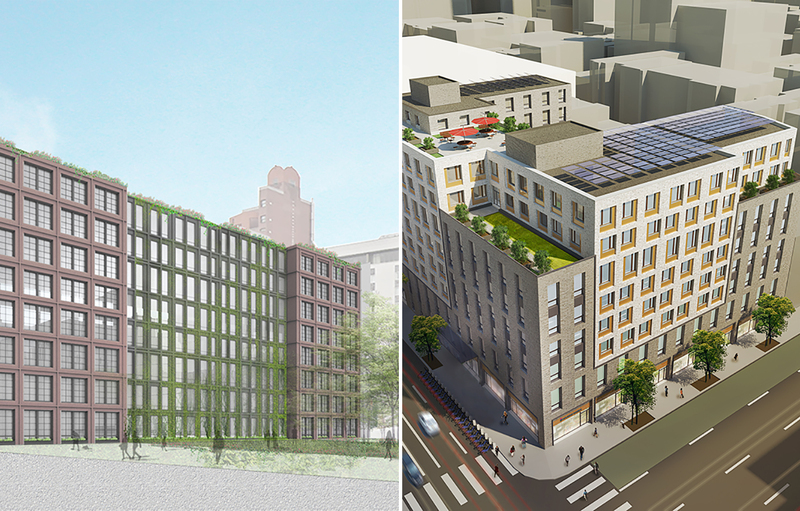 One building will be located at 806 9th Avenue (the Ninth Avenue site) and the other building will be located at 705 10th Avenue (the Tenth Avenue site).